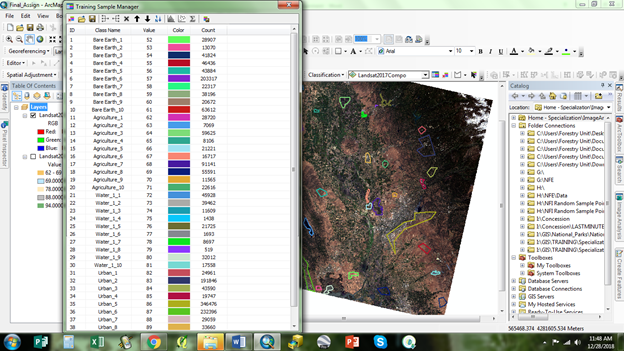 I'm trying to run a supervised classification on a landsat 8 (L8 OLI/TIRS COLLECTIONS LAND SURFACE REFLECTANCE ON-DEMAND) imagery. I created a signature file, then ran the Maximum Likelihood classification tool, but the output wasn't what I anticipated- which was to get a classified raster. 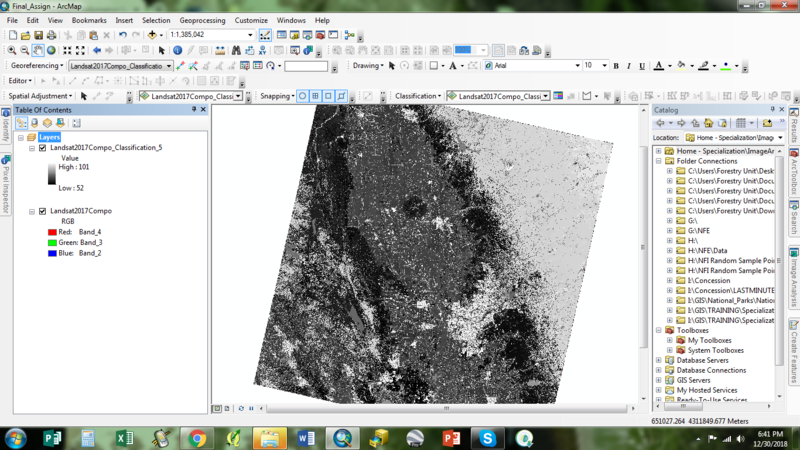 Instead I got a black and white raster with high to low values ranging from 152-62. I tried running an unsupervised classification, and that did s classification, so I'm not exactly sure what I'm doing wrong. Thank you Aaron21 for your question, it forced me to reexamine the automated values that were generated for the training samples by arcmap. I changed the values to consecutive (1-4) to represent the classes and it worked. 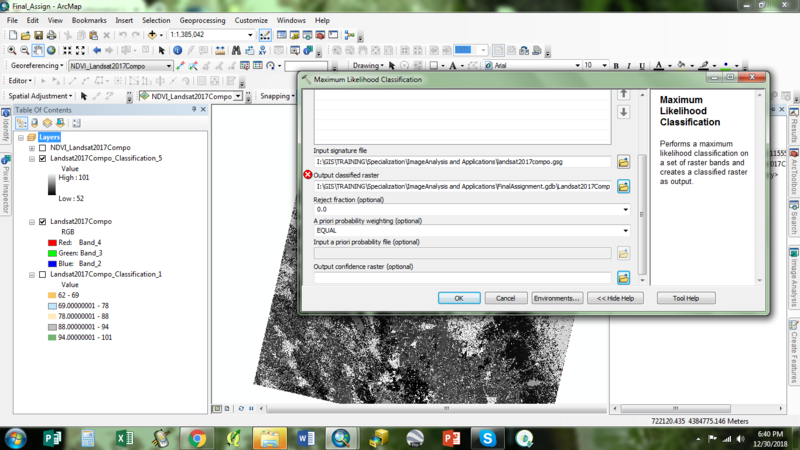 My classifications were generated successfully! Key thing to remember when running the tool-ONCE TRAINING SAMPLES ARE CREATED AND MERGED INTO APPROPRIATE CLASSESS, ASSIGN VALUES THAT WOULD CORRESPOND TO EACH CLASS. DO NOT USE THE DEFAULT FIGURES. Not the answer you're looking for? 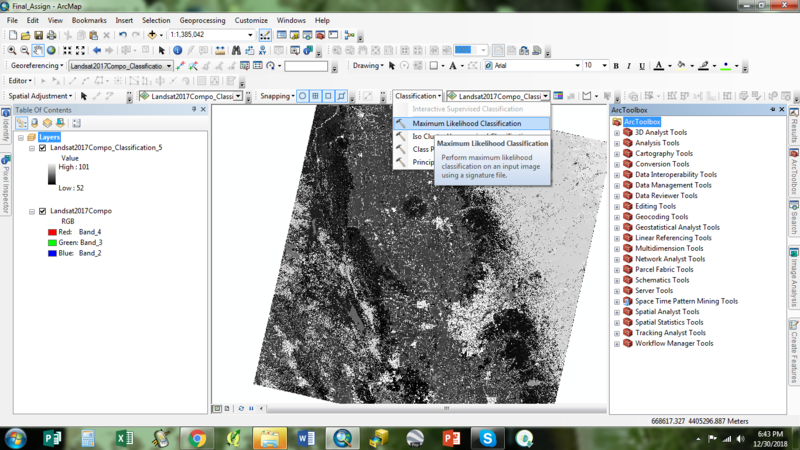 Browse other questions tagged arcgis-desktop spatial-analyst classification or ask your own question. Why does the undefined “ghost classes” arise during supervised classification in ERDAS IMAGINE?